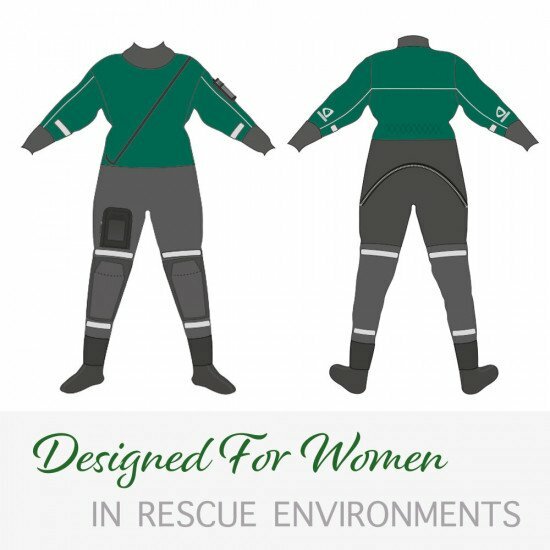 A rescue suit designed for use by women working in SAR environments. 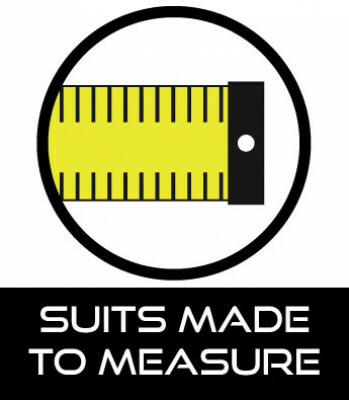 These suits are bespoke and made to measure. 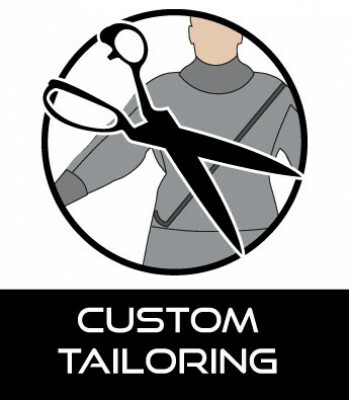 Please contact us for individual requirements. Latex socks are shown but these could be changed for boots or other socks. 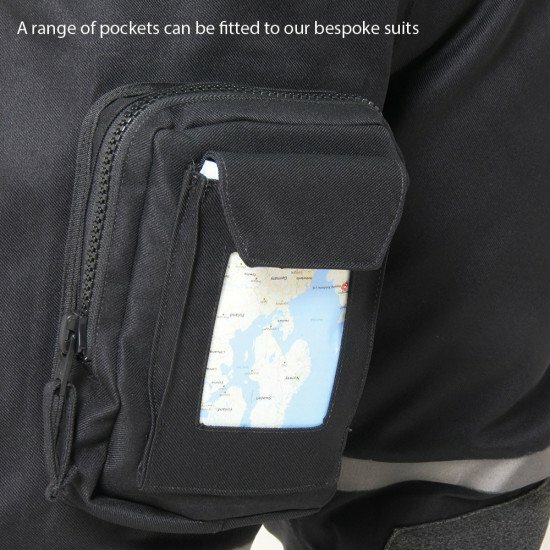 Pockets, printing and suit colours can all be customised. 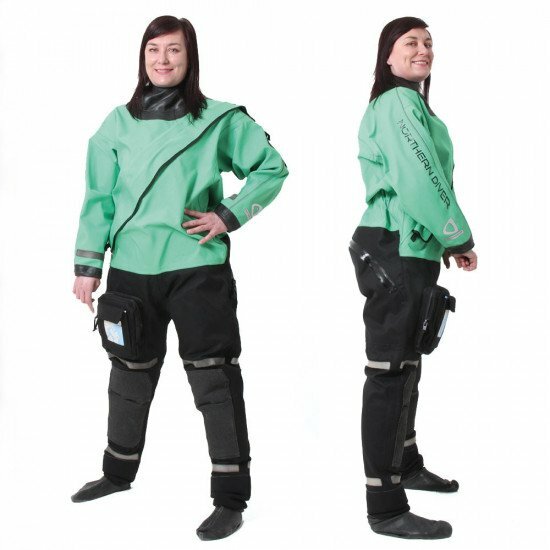 Please note: this suit is still in development stage and could change from photos shown. Please contact us for the latest information. 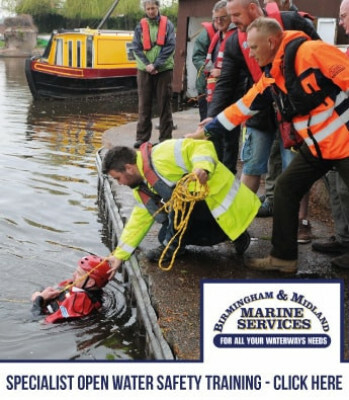 Aquatex is very comfortable, proving a popular choice for boat handlers and personnel who wear their suits for many long hours at a time. 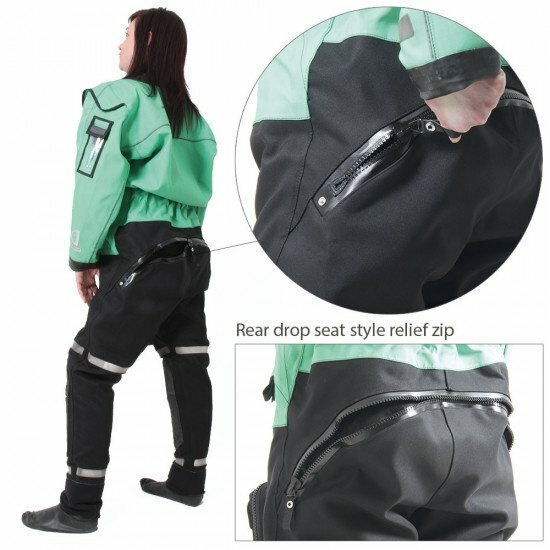 Butyl Rubber is sandwiched between two layers of polyester to create a durable and flexible fabric. 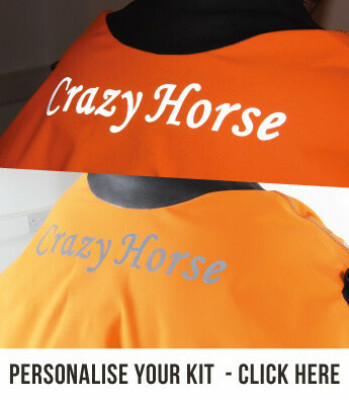 Available in black, red, yellow, amber and orange.